Cardinal Health elects J. Michael Losh to its board of directors. DUBLIN, Ohio, Dec. 7, 2018 /PRNewswire/ -- Cardinal Health (NYSE: CAH) today announced that its board of directors has elected J. Michael Losh as an independent director effective December 5. Losh will serve as the chairman of the Audit Committee. 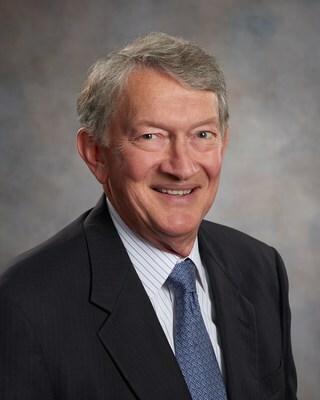 Losh brings extensive experience serving on the boards of numerous public companies over the past 25 years, including his service as a director of Cardinal Health from 1996 through the spin-off of CareFusion Corporation in 2009, and as presiding director at CareFusion until its acquisition by Becton Dickinson in 2015. Losh was executive vice president and chief financial officer of General Motors Corporation from 1994 until 2000. He spent 36 years in various capacities with General Motors building deep expertise in global manufacturing, operations, supply chain management and organizational design. He also served as interim chief financial officer for Cardinal Health from July 2004 through May 2005. "Mike's understanding of our business and his experience handling complex matters at publicly-traded companies positions him strongly to add value to our board," said Gregory Kenny, chairman of the board for Cardinal Health. "We look forward to welcoming Mike back to the Cardinal Health board and benefiting from his wealth of knowledge – not only his specific financial acumen but also the wise counsel that he has given to companies as they navigated change while focused on continuous improvement and operating excellence." Losh holds an MBA from Harvard University and a Bachelor of Science in mechanical engineering from Kettering University.